If you have trouble finding accommodation then please contact me. View Barra using Google Earth and get and idea of where you are coming to. Barra Bunting is our island guestbook. It is also to unite a worldwide community by bringing them together on one project that everyone can take-part in. 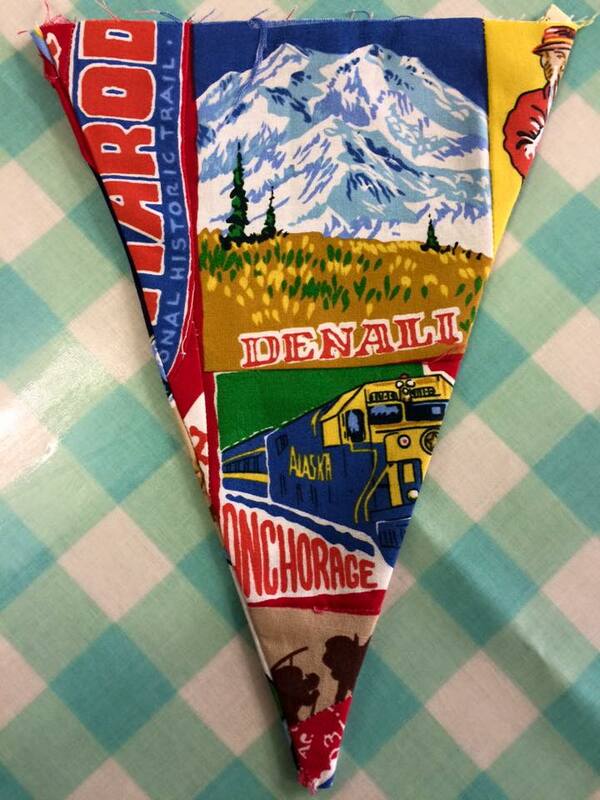 We would like people to make one bunting flag of their own design. The only qualification needed for making a flag is that you must have set foot on Barra and/or Vatersay. All flags created are sewn together and the bunting created is used at events throughout Barra and Vatersay. Barra Bunting also created an archive of all the flags. For the archive we would like to know a little about yourself and your flag. We would like you to send the following information to accompany your flag:- Name, Year of birth, Where you live, Your relationship with Barra and/or Vatersay, What your flag represents and a picture of yourself.